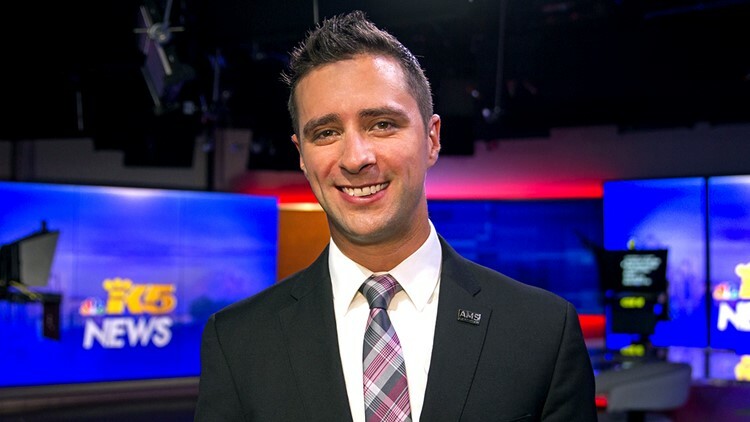 I joined the KING 5 weather team in January 2015. I’m excited to be here learning more about the interesting, complex weather patterns the Pacific Northwest has to offer. I’m a Certified Broadcast Meteorologist (CBM), a designation from the American Meteorological Society, an honor I earned back in 2014. Growing up on a lake in Chisago City, Minnesota, an area known for its four distinct seasons, my interest in weather came early. Family pictures show me standing outside during a hailstorm with an ice cream bucket on my head! And, on my way to becoming an Eagle Scout, I earned a merit badge for weather. Before moving to Seattle, I worked as the morning meteorologist for WDIO-TV in Duluth, Minnesota. During my four years at WDIO, I experienced everything from blinding blizzards to severe flooding and even a few tornadoes. I graduated with a bachelor of science degree in meteorology with a minor in mass communications from Saint Cloud State University in 2010 (also home of the Huskies!). When I’m not forecasting, you'll find me training for my next outdoor adventure. I enjoy hiking, camping, fishing, jamming on my guitar, and I constantly search for a place with a good view. You can email me at bdery@king5.com, or find me on Twitter @BenDeryKING and on Facebook under Meteorologist Ben Dery.